The Vector 3300CC is the flagship of the Hydra-Sports lineup. 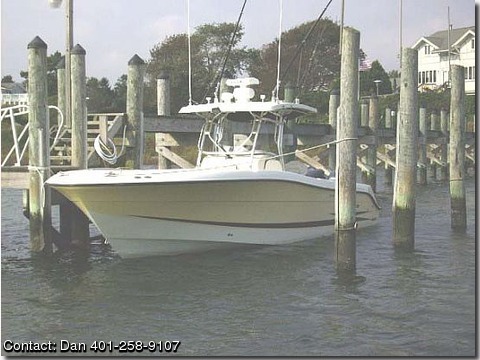 This boat is in mint condition, and has been professionally detailed weekly since day 1. This vessel is outfitted to absolute overkill, from electronics, additional rod holders installed in the bow, and maticulous maintenance. She is powered by the more desireable engine package, the twin 300hp yamaha 2 strokes. Garmin 3010 color chartploter, Furuno Nav-Net 48 mile radar w/ 48" open array antenna, 2 I-Com 602 radios w/ separate comrad digital antennas, Furuno Nav-Net 1kw Sounder, Remote searchlite.